My prep work for the Guarneri interview was admittedly thin – partly because I didn’t find much about the field. Unlike “integrative oncology,” web searches for “integrative cardiology” produced evidence of only a few centers or physicians who, like this cardiologist, are choosing to brand themselves as “integrative”. And also unlike “integrative oncology,” the subset of medical professionals who treat heart conditions with appreciation for the roles of integrative approaches has no parallel organization to the “Society for Integrative Oncology.” A search for an “integrative” special interest group at the American College of Cardiology came up empty. Perhaps it is telling that, while Guarneri still self-identifies as an “integrative cardiologist,” after battling to build an integrative cardiology model at Scripps for 15 years, her present professional home is at her solidly interprofessional, community-based Pacific Pearl La Jolla center, rather than in a major hospital. Here is an edited version of the interview. Weeks: It’s heart month at AIHM and elsewhere. I figure it’s been what, 20 years since your Medtronic grant? What has been going on with the field? Guarneri: I haven’t done a mapping to know who has programs and who doesn’t. The program we were able to start with $900,000 from Medtronic, the Scripps Center for Integrative Medicine, seems to be one of the few that promotes itself as “integrative cardiology.” There are Dean Ornish’s programs – his are true integrative cardiology with diet, exercise, meditation, and the group format. I’m not sure how many hospitals have it. I know even with his research it took him almost two decades to get reimbursement for it through Medicare. Weeks: Has the program taken off since Ornish got it reimbursed? I haven’t seen a lot of signs that it is being picked up everywhere. 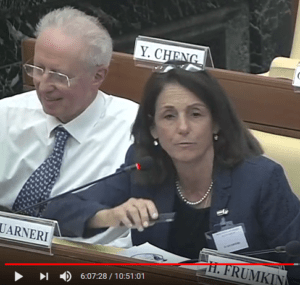 Guarneri: It is a big commitment. Last I knew it was $250,000 to put in a hospital. Let’s get in touch with Dean. Weeks: This is great. And it doesn’t take many stents to pay for the $250,000 – for someone doing 700 per year like you were when you were at Scripps 20 years ago. 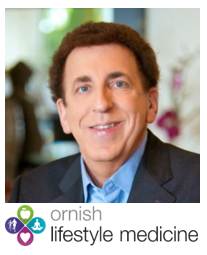 Guarneri: Yes it is good to see the expansion of the Ornish program – great work. But with some 4000 US hospitals and 23,000 cardiologists, that’s a fraction of the need. We need to see way more availability of integrative cardiology programs than that. The problem is misaligned incentives. We in the integrative field have always said that when we have the research things will change. But we have research in integrative cardiology. We have Ornish’s research. We have all the mindfulness research. It’s not only the clinical, but the cost savings from the Ornish programs. It’s the same as with climate change. We have the science but the economics don’t fit. We get paid for doing the stents and the procedures. The incentives to do the right thing are misaligned with the industry’s business model. We need to have payment incentives that are aligned with health creation. Weeks: At least there are cardiac rehab programs with most hospitals everywhere that have heart programs. Guarneri: They are good for what they do but they don’t go far enough. Cardiology lends itself so beautifully to integrative approaches. To get to root causes, you follow naturopathic principles. You look at sleep, diet, toxins, stress, anger, attitude, gratitude, inflammation, sleep apnea, diabetes. When you look at cardiovascular diseases you can go straight to root causes. The rehab programs don’t do that. There are at least now more discussion of lifestyle issues in cardiology meetings. But we’ve reached a point that we can’t only bring in lifestyle as secondary prevention. Weeks: So how do we observe all this slow movement in cardiology and hold off dismay? Guarneri: You can continue to be a voice for all that’s right or you can go off into the dark night. I look at many people around us who are raising the level of consciousness. We need to build that million strong movement we have talked about. So much of this is not a medical issue. It’s not a clinical issue. It’s a public health issue. It’s an issue like germs, like hygiene. I think in trying to promote and get support for our ideas that maybe we’ve been barking up the wrong tree. Maybe we should be promoting integrative health for cardiovascular problems as a public health issue. Weeks: Well, if it took us 20 years to learn that – maybe we need to focus on figuring out how to build those public health relationships. Maybe a public option or Medicare for all will shift some incentives. Thanks for the time. Happy Heart Month!